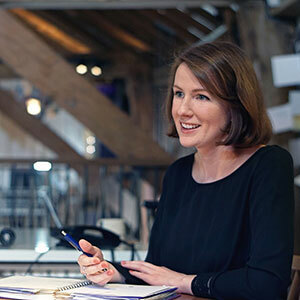 Emily came into the studio to re-design a ring she already had, with the aim to make it more wearable and to suit her personal style more. The original ring used mixed metals in quite a complicated design and she wanted to simplify everything and change the focus to the beautiful central stone she had. 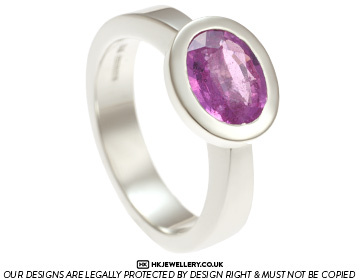 Having seen some inspirational modern designs on our website, Emily decided on an eye catching unique handmade 9ct white gold dress ring with her own oval cut pink sapphire in an open tip setting. 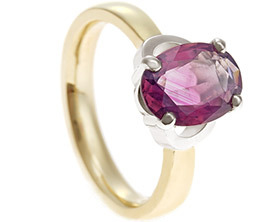 The band tapers towards the central sapphire to draw your eye towards it, and the ring has a highly polished finish. 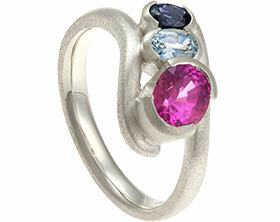 Bespoke 9ct white gold dress ring with pink and lilac sapphires. 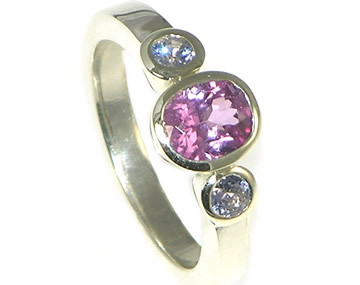 18ct white gold dress ring with princess cut pink sapphire. 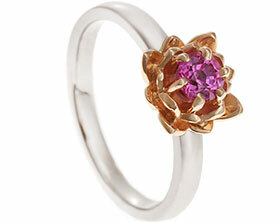 9ct rose and white gold dress ring with a princess cut pink sapphire.